Hossain’s story ripples with magic and just a dash of something twistedly angelic. Whatever your level of familiarity with beings mythological and godlike, rest assured: you’ve never journeyed with djinn like these before! 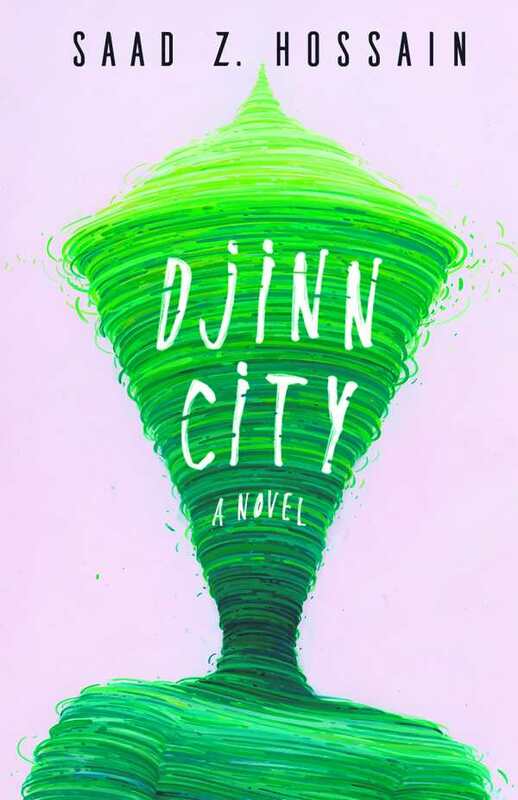 Saad Z. Hossain’s Djinn City is a wholly enchanting contemporary fantasy novel that takes cherished stories of fantastical beings and transforms them into something crisp, engrossing, and newly relevant. A dilapidated home in bustling Bangladesh becomes the setting for events that threaten to undermine the known universe. The source of such possible disasters? A child, Indelbed, whose mother was a djinni, whose drunken father is … something else, and whose heritage those in djinn power find too dangerous not to repress. With the knowledge of some in his human family, Indelbed is whisked away to a place where he’s less of a threat to the djinn. Presumed dead by most, he is in fact relegated to a pit. There, he learns hard truths and harnesses his own magic, thanks to an ancient and powerful fellow prisoner. While most of the world seems content to continue on without Indelbed, his impetuous cousin, Rais, and his incomparable aunt, Juny, sense that something is amiss. Rais abandons his wild ways for something more steady: a search for the truth. It takes him into the heart of the ancient, aging djinn society, where beings are both more godlike and more human than he knew to expect. It takes him to the edges of reality, and to a portal for humanity’s possible unmaking. Hossain’s story ripples with magic and just a dash of something twistedly angelic. It is populated by dragons in their most nascent forms, terrifying sea beasts, and flying machines; it is built up by fictionalized mythologies that weave their way through known origin stories and rumors, birthing something new and captivating. Its villains are complex and sometimes appealing; its heroes are delightfully flawed. Even its violent scenes have charm. Humor and intrigue ferry Djinn City toward its thrilling end. Expect rapt audiences to spend a good while frantically rubbing lamps to wish for one thing only: the speedy release of its sequel.